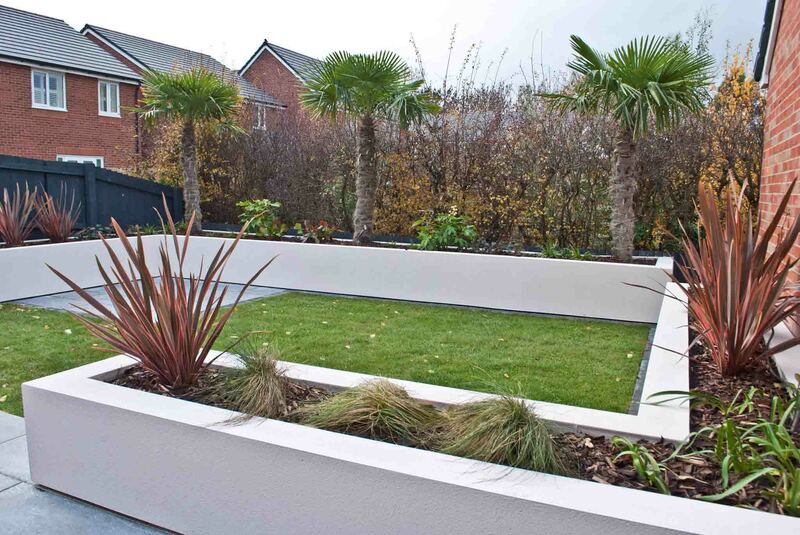 A sleek contemporary makeover for a garden we designed in Parkgate. 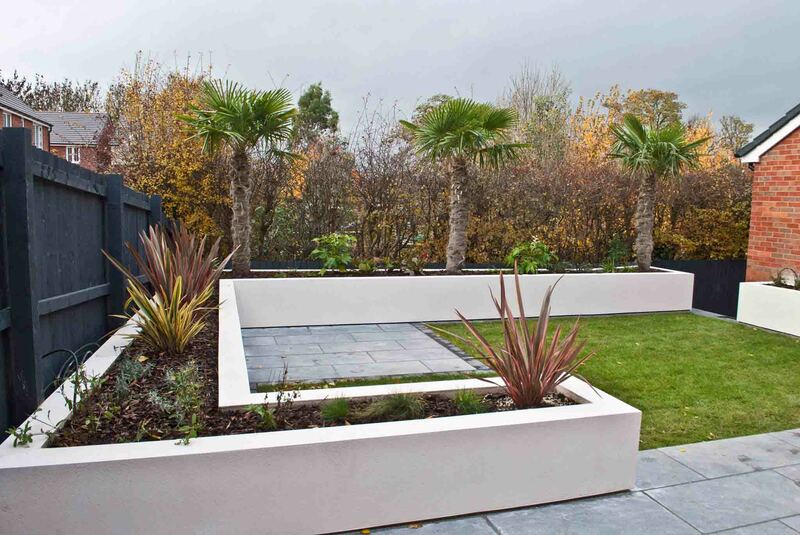 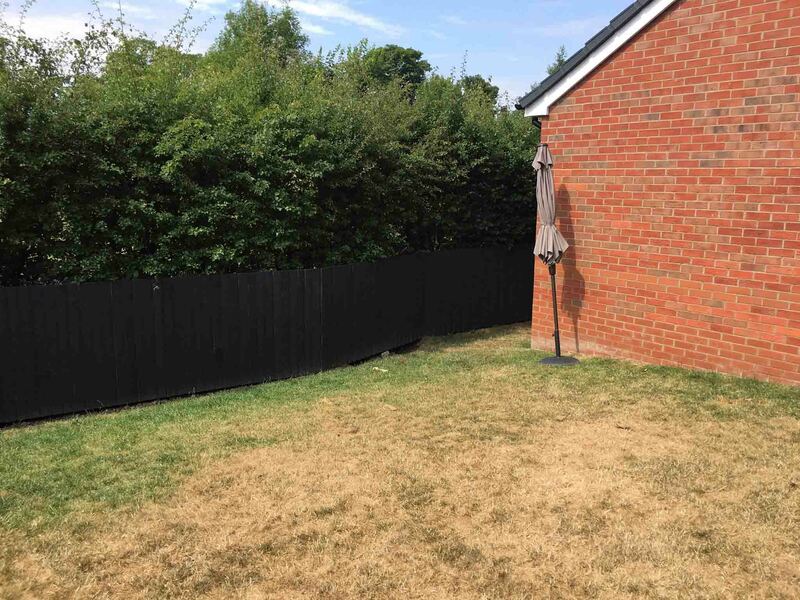 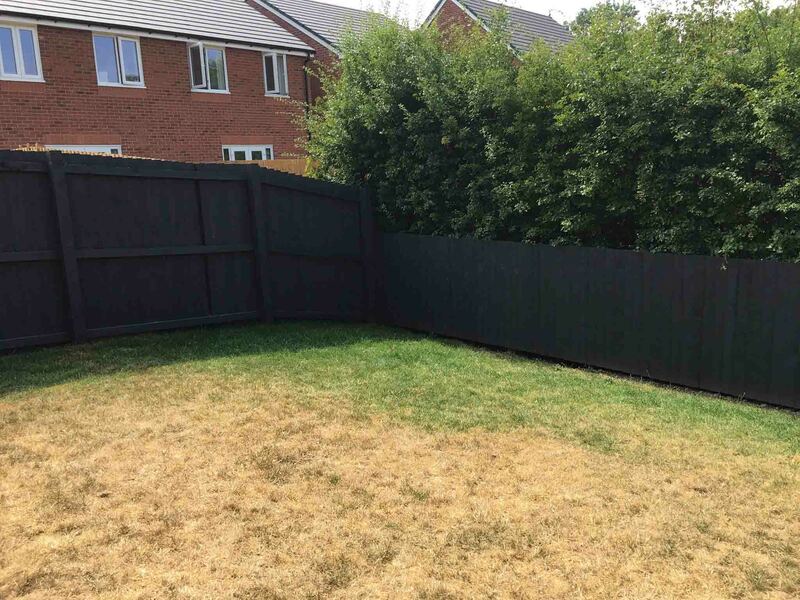 The site was on a slope and practically unusable so we designed retaining planters around the boundary to enable the height of the lawn to be raised and made level. 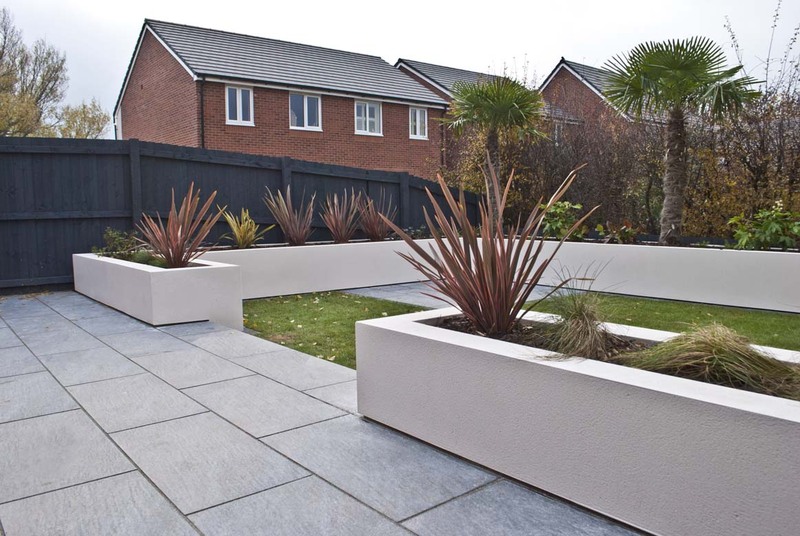 A white K-rend finish has been used on the planters. 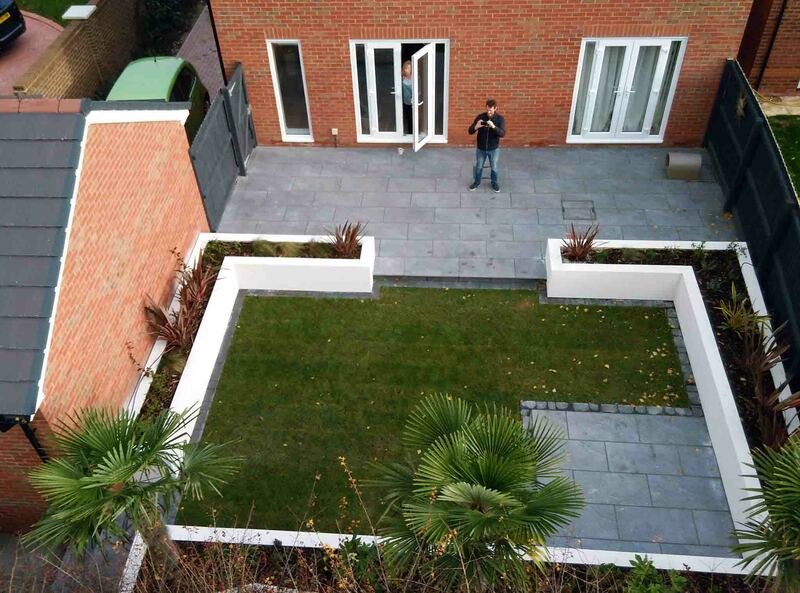 Manhattan Grey Porcelain paving has been used for the patios. 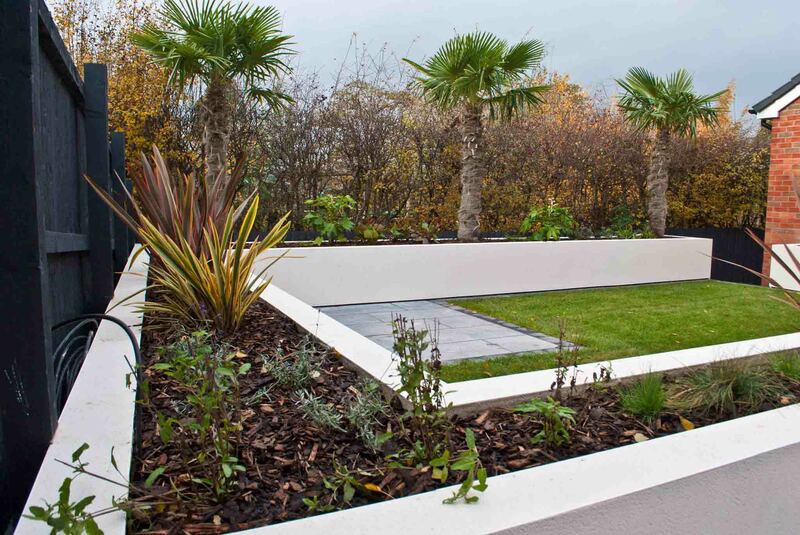 Porcelain paving is very easy to clean and will not absorb stains like sandstone or limestone flags. 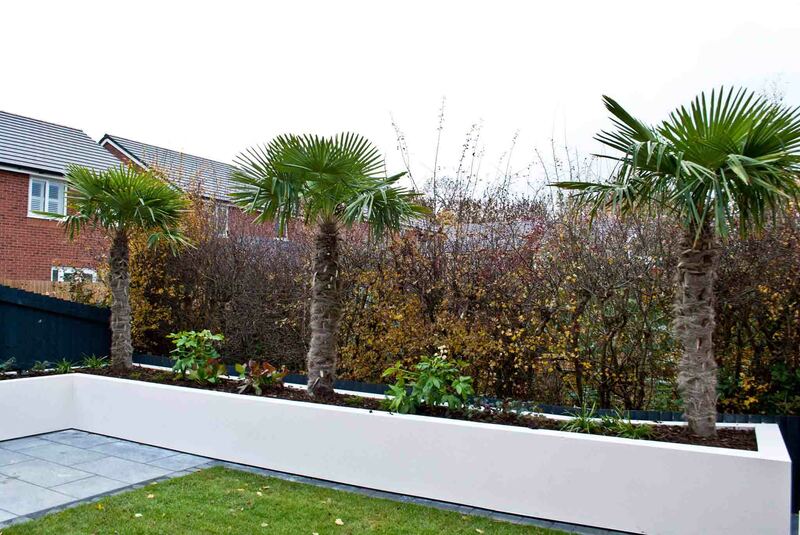 Planting consists of architectural shrubs and 3 specimen Trachycarpus palms add a Mediterranean feel to the space.